TO SEE PRICE, select options above! Noise: 70 dB - Quiet! This is a reliable low-cost hand dryer. It is not as fast as some of our other options, but it is quite hot and very quiet! 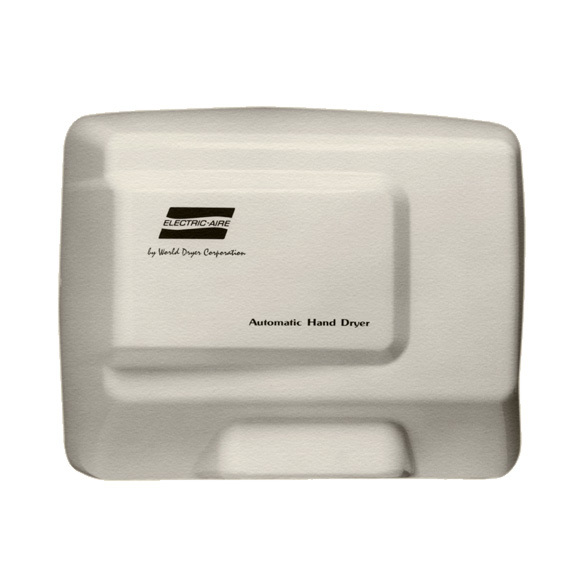 The sensors on the Electric-Aire LE1-974 and the LE4-974 hand dryers are adjustable. Take the cover off and look for the yellow circle inside of the blue square. Use a small screw driver to adjust the sensitivity. Turning the screw clockwise will make it more sensitive (longer sensing range).